Dr. Peter Mapp is principal of Peter Mapp Associates, an acoustic consultancy, based in Colchester and specialises in the fields of room acoustics, electro-acoustics and sound system design. Peter holds degrees in applied physics and acoustics and has a special interest in speech intelligibility prediction and measurement. He has authored and presented many papers and articles on this subject and on sound systems design in general. He currently is a member of both the British and International Standards committees concerning sound systems and speech intelligibility. Peter has been responsible for the design and commissioning of over 450 sound systems, varying from concert halls and theatres to churches, cathedrals and other religious buildings to arenas, stadiums, power stations and transportation terminals. 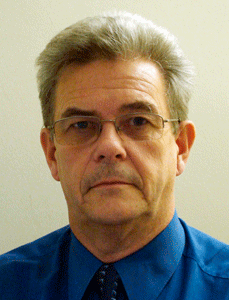 Peter Mapp is a regular contributor to the audio technical press having written over 100 articles and papers. He is also a contributing author to a number of international reference books including the Handbook for Sound Engineers. In 2014 Dr Mapp was awarded the AES Bronze medal and is currently co-chair of the AES technical Council of Acoustics & Sound Reinforcement.